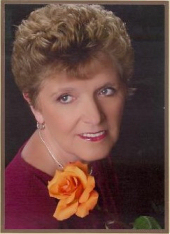 Hi, I'm Kathy Nooyen, the founder, owner, and operator of CareFree Travel. In September 1978, CareFree Travel was founded as a small family-run home business, and although we have grown tremendously since then (see About Us), our focus continues to be on both family and home. My current family includes my husband, Bob, our three children, two grandchildren, top-notch office support staff, dedicated tour guides, and, I am delighted to report, more than 4000 repeat customers. Our goal is to serve you with the warmest home hospitality. Whether it be serving you complimentary coffee, juice, and rolls on the first morning of any of our tours; sending you a backseat driver package (a list of your fellow travelers, a map, and an itinerary of your trip) prior to all overnight tours; or providing interesting information and entertainment to pass the time, we are always focused on you. Do you have any special travel concerns or needs? Well help with that, too. Sit down, relax, and let us help you enjoy the CareFree way to travel. Although our specialty is group motor coach tours, we also offer a wide array of other affordable travel options including air tours, cruises, and all-inclusive resorts. If you don't see what you are looking for under Upcoming Tours, we would be happy to help put something together for you. Just give us a call. Thank you for considering CareFree Travel for your future travel plans. I look forward to seeing you again or meeting you on one of our tours very soon. Certified Tour Professional; Kathleen Nooyen (CTP). These associations represent our commitment to providing a quality product and consumer protection. The motor coaches used during our tours are supplied and maintained by Nationwide Travelers located in Appleton Wisconsin. Each of their state-of-the-art motor coaches has been designed to provide a comfortable travel experience. Each has a PA system; VCR and DVD players with multiple monitors; an AM/FM radio with cassette player; plush custom reclining seats; wide aisles; a restroom and large, lightly-tinted scenic windows. All are wide-body (102") meaning that each individual seat is an extra 1 1/2" wide. These coaches also offer a 'kneeling' feature, which lowers the front end for easy boarding access. Site design/redesign and coding copyright © 2008 Brian G. Reilly.